Our authentic Japanese Minoyaki (Mino ware) bowls are perfect for Matcha and are imported direct from Japan. Mino refers to the southern region of Gifu prefecture where kiln fired ceramics date back to the 7th Century and were designated in 1988 as a traditional craft. Today the region is thought to manufacture over half of Japan's national tableware! These bowls have a smooth crackle glaze on a traditional shaped exterior, forming a chunky bowl and are a delight to hold. 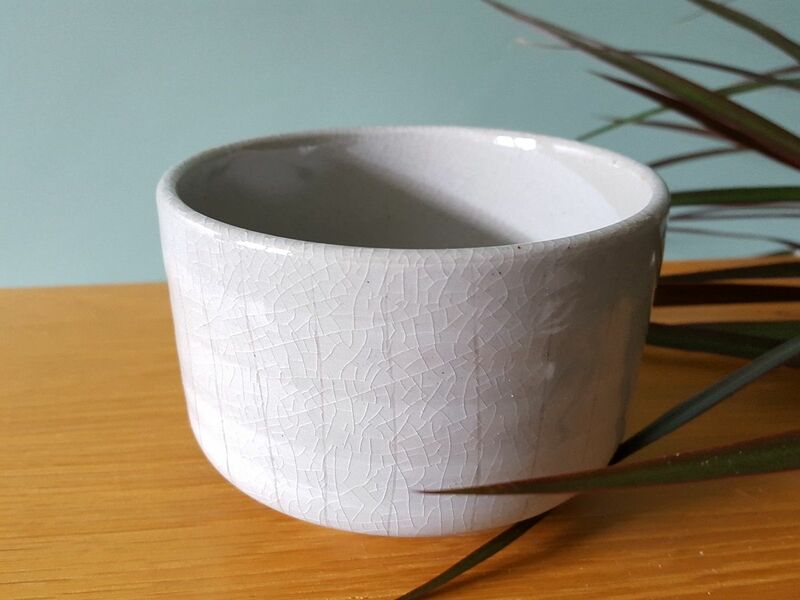 This particular bowl has a high gloss crackle galze finish with white swirls over a pale grey colour. Measurements: approximately 11cm diameter by 8cm high / 300ml comfortably. As these are hand made please note there are minor differences in size and finish. 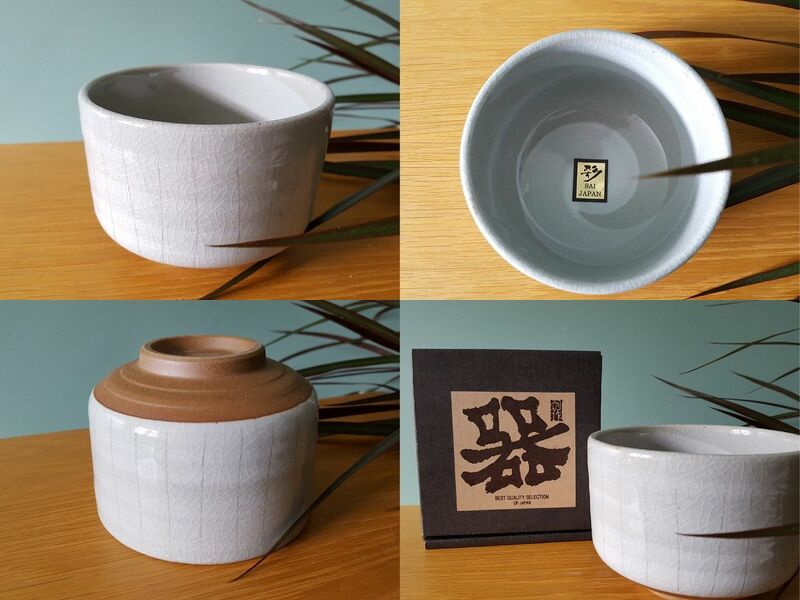 Each bowl comes in an original small cardboard box as pictured, making an ideal gift!